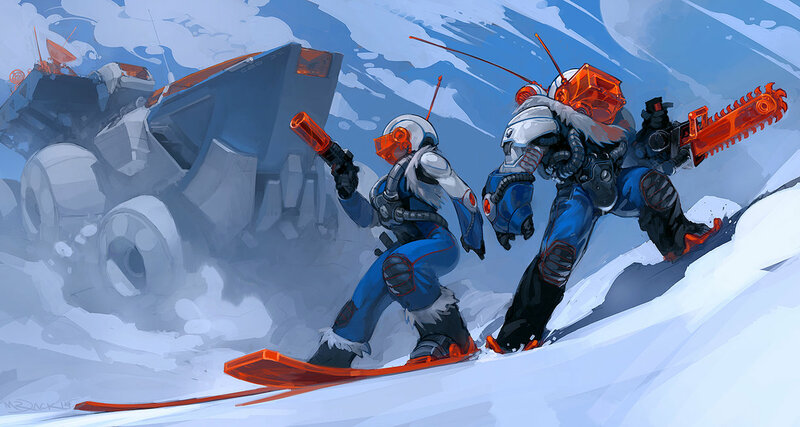 Luke Mancini (Mr–Jack) posted his artistic interpretation of Ice Planet. Anyone who’s familiar with these iconic minifigs and their transparent orange saws will instantly recognize this awesome drawing. There is something about that image that is both instantly recognisable and at the same time completely new. Ice Planet is certainly a theme I need more from. Hmm, an Ice Planet themed monorail…. And that vehicle is the awesome six-wheeler that was blogged a few weeks (months?) ago?